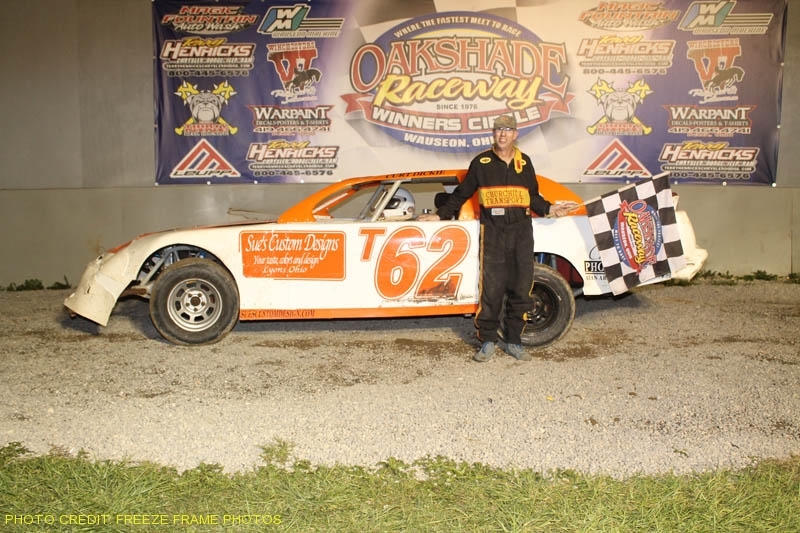 Brian Ruhlman from Clarklake, Michigan found his way back to victory lane for the first time this year at Oakshade Raceway in the 25-lap UMP Late Model feature event which highlighted a night of great racing action. Casey Noonan started on the outside of the front row and opened up a big lead the first half of the race. Ruhlman worked his way up to second after starting inside the second row and began to close in ever so slightly as the leader worked to lap cars running at the tail end of the lead lap. 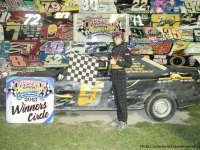 The first yellow flag flew on lap 16 after Dusty Moore’s car came to a stop in turn four which set up a double-file restart. As the leader, Noonan elected to restart on the inside putting Ruhlman to his outside. Ruhlman took the lead from Noonan on the outside twice, but a couple of quick caution flags saved the lead for Noonan both times. Still stuck on lap 16, Noonan decided to restart on the outside on the third restart. This strategy seemed to throw Ruhlman off who took off took early forcing another restart. Unfortunately for Noonan, his car rolled to a stop just as the field was preparing to take the green flag once again. 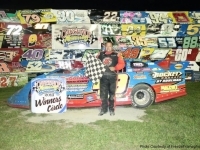 After the green flag finally dropped, Ruhlman was unchallenged all the way to the checkered flag. 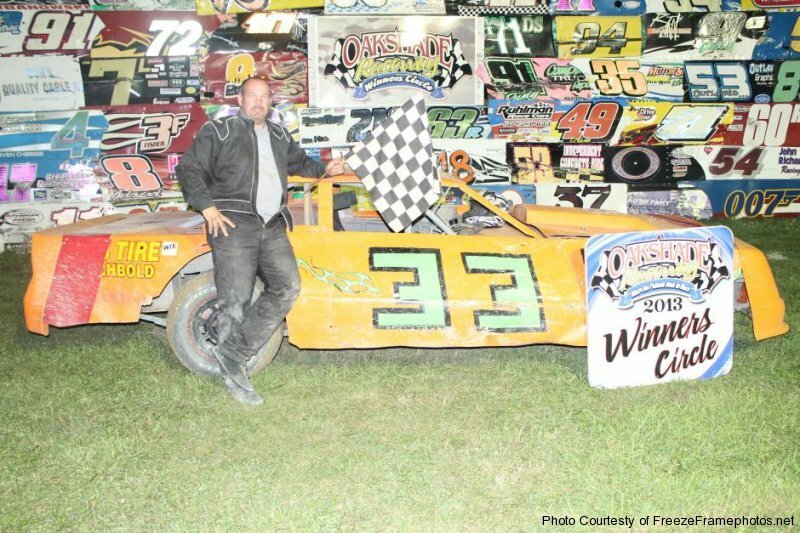 Rusty Schlenk, sporting a “4U” tribute on the side of his car to Tom Elling who passed away earlier in the week, finished in second to gain a few points on point leader Dona Marcoullier wound up fourth. Chris Keller finished third and Steve Kester was the fifth place finisher. The Sportsman feature produced a lot of excitement with George Lindsey and Rich Ruff battling side by side for the lead at the start. Ruff finally edged out Lindsey for the lead on lap two, but Bruce Stuart closed in on the duo and jumped to the outside to make it three-wide. Stuart’s move got him the lead on lap six and he proceeded to pull away. A caution for Drew Smith and Rick Bates tightened the field back up behind Stuart who fell way back after the restart. That put Lindsey and Ruff out front battling again for the lead. A big wreck on lap 11 involving Eric Bradner, Jamie Grochowski, Richard Patton, Jim Scout and Shane Stuckey slowed things down once again. On the ensuing restart, Tim Line made a move similar to Stuart’s when he went around both Lindsey and Ruff on the outside to take the lead. 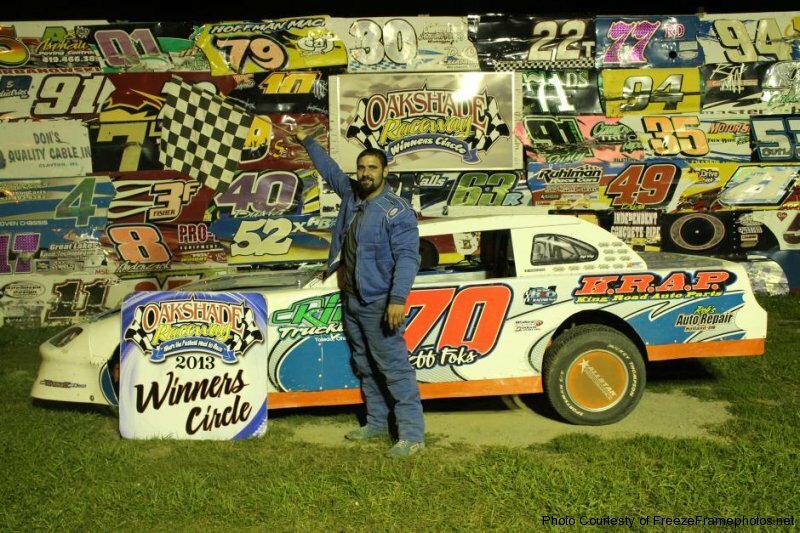 Line went on to pick up his fourth consecutive Sportsman feature win. Lindsey got by Ruff to finish second. 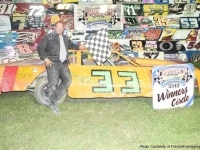 Mike Jessen started 16th and worked his way up for a fourth place finish while Bob Gregory ended up fifth. Mike Grames got the early edge over Craig Dippman in the Bomber A Main. Jeff Foks took command on lap five and shortly thereafter, Grames got crossed up on the exit of turn two while running second which cost him cost him quite a few spots. 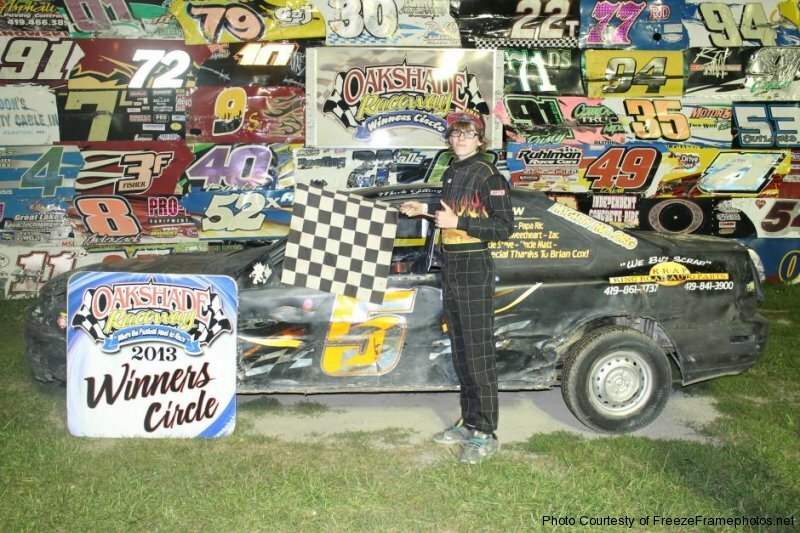 Terry Rushlow took over second and hung with Foks the remainder of the race, but Foks held on to win his seventh A Main in a row and the eighth of the season. Rushlow settled for second, but took over the Bomber point lead by two over Adam Noonan with Foks still in third, only 19 points back. Dippman finished the race in third followed by Curt Lancaster and Richard Riffe. 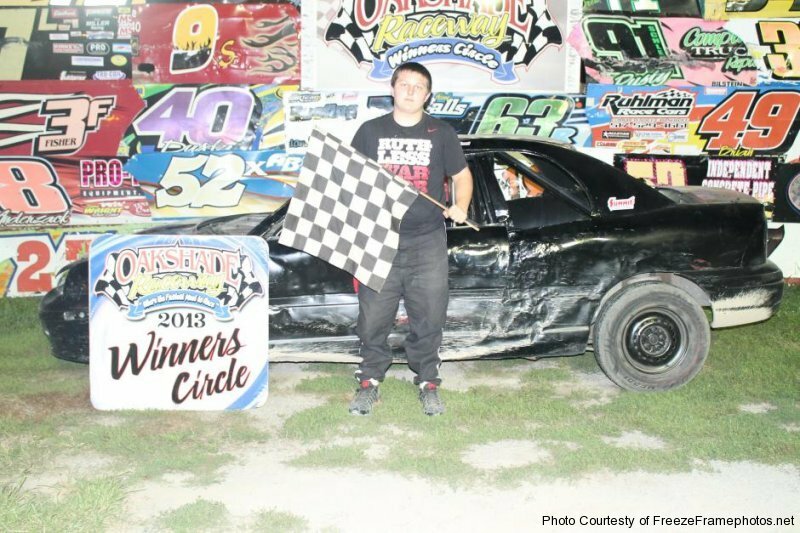 Cody Laney was the lone Hornet competitor Saturday night and notched himself another feature win and got to race with the Sport Compacts. Corey Gumm was the leader at the start of the Sport Compact class feature, but “Sparky Marky” Gillingham took over the lead by the completion of the first lap. Gumm fell way off the pace and brought out the yellow flag on lap four. 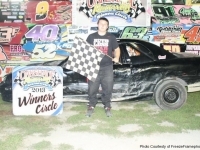 Trent Delong put the pressure on Gillingham for the lead, but Gillingham held on to pick up another feature win with Delong slipping back to a third place finish behind Nathan Shaffer. Matt Brazeau was fourth with Terry Rushlow Sr. fifth. Action heated up early in the Bomber B Main after the yellow flag flew for Adam Lantz who rollled to a stop on the first lap. Just as the caution flag waved, Derek Zuver, who was running second, got crossed up in turn four in front of a lot of traffic. Zuver’s car got bounced around off a few other cars and then ended up rolling up and on to its side which brought out the red flag. Zuver climbed out of the car after track crews lowered it gently back onto its wheels. 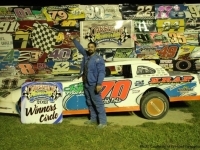 Once racing resumed, Derek Morris found himself leading the pack and despite multiple cautions that kept the field tight, Morris went on to capture the checkered flag. 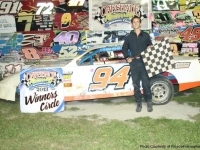 Chris Sands and Dave “Gumby” Golembiewski Jr. both started near the tail of the field but managed to post second and third place finishes respectively. Ron Bloomfield Sr. was fourth and Terry Rump ended up fifth after also starting at the back of the pack. Craig Strow led the first part of the final event of the night, the Bomber C Main. 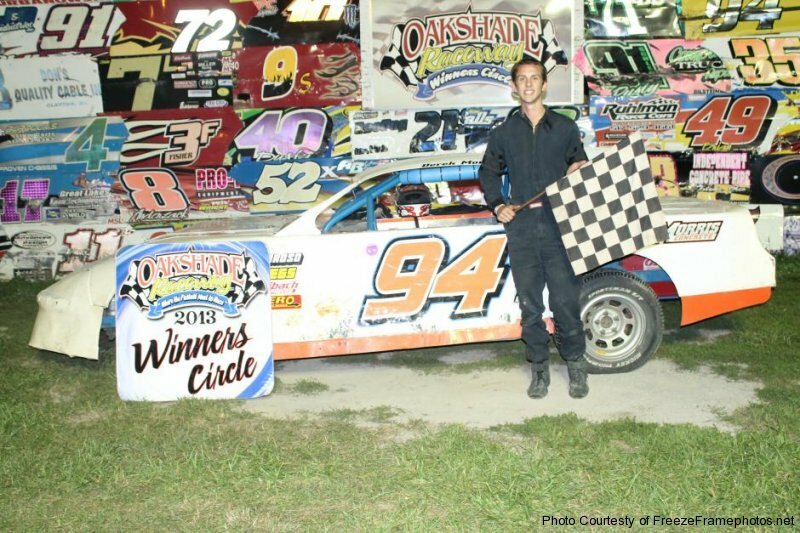 Duane Fletcher took the lead away while working through slower traffic with three laps remaining and went on to win his second C Main of the year. 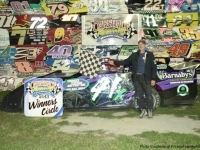 Dan Plath started 16th and worked for a second place finish ahead of Jody Burton, Taylor Dippman and Ron Williams. 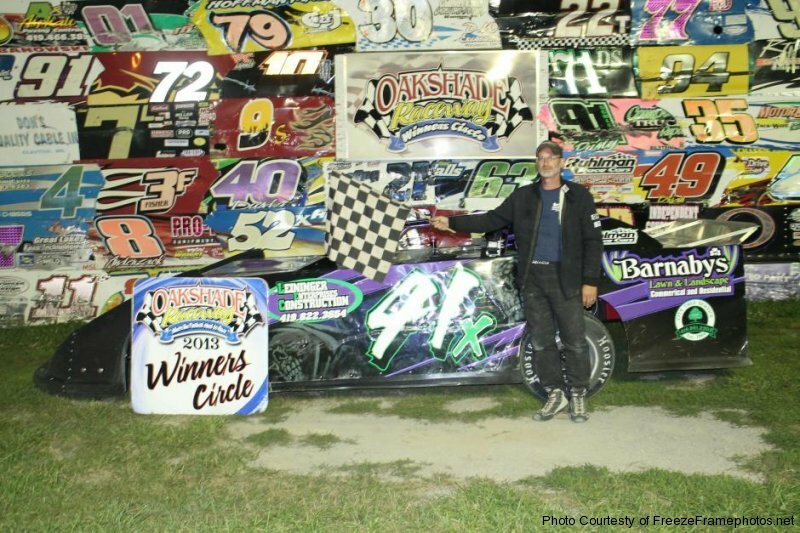 Watch two UMP Late Model features for the price of one on Saturday, August 17th at Oakshade Raceway’s Dual Push Truck Challenge. 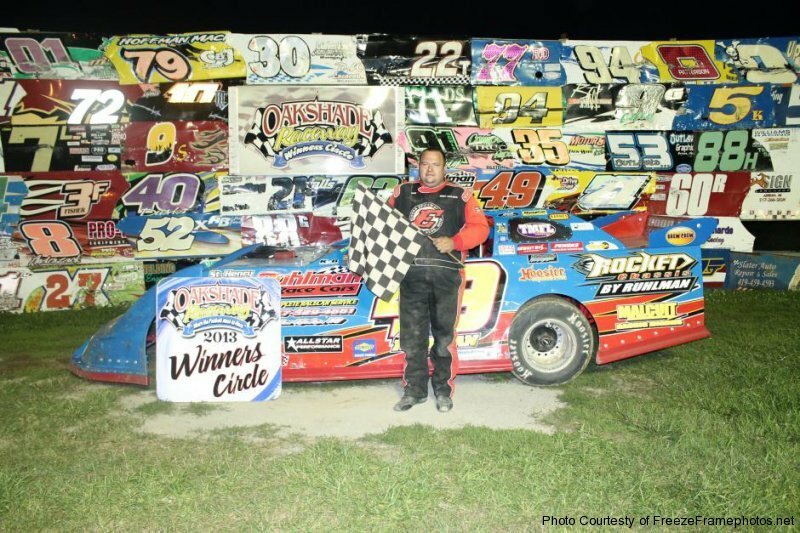 Two complete 25-lap UMP Late Model feature events will be run in addition to a full show of Sportsmen, Bombers, Hornets and Sport Compacts. Gates open at 4pm with racing at 7pm.